Garden incinerators & Fire Pits are proud to stock the brilliant Barbecook - Modern Fire Pit 60. With so many on offer today, it is good to have a name you can recognise. 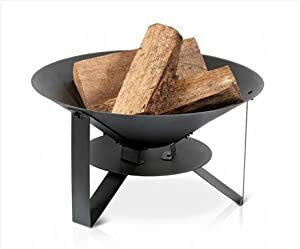 The Barbecook - Modern Fire Pit 60 is certainly that and will be a excellent acquisition. 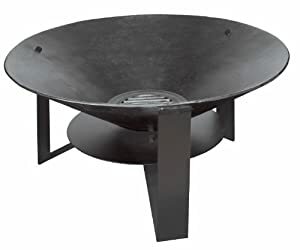 For this price, the Barbecook - Modern Fire Pit 60 is highly respected and is a regular choice for many people. barbecook® have added some nice touches and this means good value. Discover the joy of outdoor cooking over this garden fire in combination with our grill tray, wok and cast iron pots. Enjoy the pleasure of an authentic outdoor kitchen all year long. The charcoal fire in the garden fire creates a cosy warmth and heart-warming glow that no one can resist! The burner box of the garden fire is made of durable heat resistant enamelled cast iron, which retains its shape also at high temperatures (450°C).